Hey everyone, welcome back to the Blogger Genius Podcast. I’m really excited about my guest today. 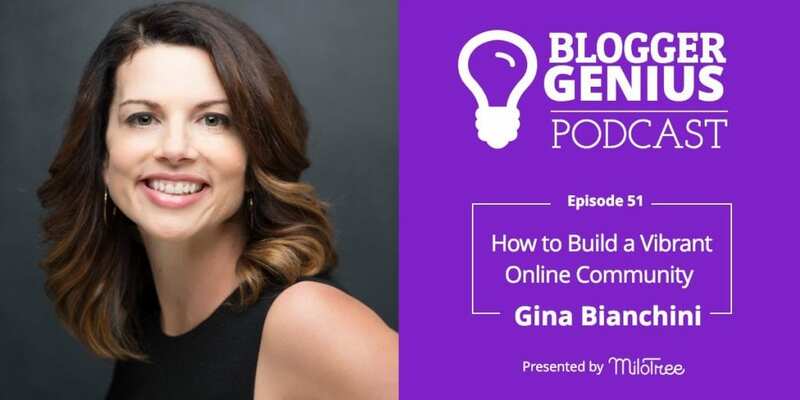 Today, I am interviewing Gina Bianchini. Gina is a legend in Silicon Valley. If there is a list of female founders, she is always on it. She is the CEO of Mighty Networks. Many of you have probably heard of Mighty Networks or are using Mighty Networks. It’s a place where you can build your own community. So without further ado, I bring you Gina Bianchini. Gina, welcome to the show. I was thinking about it and I think we met about five years ago. So we both went to the Stanford Business School at different times and there was a conference. You remember this? An entrepreneurship conference, and you were leading a session on product-market fit. And I reached out to you afterwards and said, “Hey, we should get together.” And then we met in your offices in downtown Palo Alto. Then recently, somebody I was talking to mentioned Mighty Networks — at the time it was called MightyBell, right? And I was thinking about you and I thought, “Oh my God,” I wanted to reach out to you, have you as a guest on the podcast. What my audience probably doesn’t know is that I think of you as one of the original “girlboss” founders in Silicon Valley. Which makes me feel so feel old. I don’t mean it to make you feel old. Okay, okay. I’m just going to, like, embrace it. Embrace it because you have seen a lot and you have built businesses. So let’s start. So can you share then your story and how you became an entrepreneur, how you founded businesses, and where you are today with Mighty Networks. Sure. And I almost want to start with where I’m at today because I always think that that’s sort of the more fun, you know spot, to begin with. What is Mighty Networks and who is it for? Right. An online course on a platform like Teachable or Kajabi, an email list over here, a website over there. All the time you’re spending in social media. We actually let you bring those things together. And when you bring those things together, something magical happens, namely, the thing we learned about at Stanford Business School which is called the “network effect,” meaning you can create a brand or business that brings people together such that it gets more valuable to everyone with every new member who joins. That is the reason Facebook is as powerful as it is today. That’s the reason we’re using Skype right now for this podcast. And it’s the reason that each and every one of us has the power and potential to take a small business and make it a lot bigger. Because if we bring people together in one place such that your courses, your groups, your website, your content, your events, and your messaging are all in one place under your brand, you are able to create something that gets more valuable with every new member who joins. So I share that as kind of the the opening because everything in my life and career has brought me to this moment in this place where I am absolutely obsessed with the notion of how to enable niche entrepreneurs to bring people together and create something much more valuable as a result. So I grew up in Cupertino down the city, where Apple was founded and is headquartered today. I grew up amongst orchards. My grandparents owned a nursery and I watched how the orchards got taken over with office buildings. But what I learned which was just sort of a function of where I was. My dad was a history teacher. My family was obsessed with thinking about how does social change happen and how have cultures changed. I was always really fascinated by people systems and how we’ve gone from one culture to another culture. Then being in the heart of Silicon Valley, looking at technology through the impact it has on culture, I feel like everything in my life led me to the moment that social, you know, at the time was called web 2.0 really in the early aughts. But fundamentally, It was about “Oh, I get this.” I have been surrounded by technology. I worked in the Goldman Sachs high technology group. I understand technology, I understand engineering, but my passion just happened to be how do you bring people together not as robots but as human beings. And I remember the first time we talked and we sat down, and you said that to me, so your message is incredibly consistent. Like, this is what gets you going. It’s not the things. It’s funny because this is stereotypical but there is some truth here, which is women like people, men like things. And so you found a way to use technology for people. Certainly, I hope so. There’s certainly moments when I feel like, “Oh my gosh, am I I working on the right stuff? Is this going to be successful?” We all have those moments of fear, vulnerability, but what I know to be true is whenever I have followed my own curiosity and hit the send button on something that scared me just a little bit, the results have been profound. At times that’s kind of all we’ve got in terms of what drives us and what motivates us. I feel very fortunate that I was born in the right place at the right time to be able to do what I really believe in, which is how do we push out to the edges of the network in a really dorky technical way of saying it. What it really means is how do we push out to beautiful individuals with the ability and curiosity and passion to bring people together and allow them to create network effects. You know, again, create a brand that brings people together without needing to be an engineer or commute from Palo Alto to San Francisco. Or whatever it is. You can be anywhere in the world and as long as you have a passion, a niche that you want to bring together, that the tools and technology exist for you to be able to do that and create something that gets more valuable with every new person that you bring into that tribe, you bring into that niche. Okay, so let’s break it down. My audience is somebody who might be listening to this probably started as, let’s say, a food blogger and they loved food, so they started putting their recipes out there and then they started getting visitors. Then they started growing social media networks, social media accounts, and then they started to monetize. And this is very true, which is I think that a lot of online entrepreneurs especially female entrepreneurs kind of start with their passion. Then they figure out over time, “Okay, how do I monetize this? So usually, first, you put up some ads and then you say, “Oh, I can work with brands.” Then you say, “I want to create my own products and I want to grow my social media accounts,” and they start building that way. So could you talk about how you think about that and what happens? Oh, wait, wait, but I just want to say because what happens is the people who you start to piece together these stacks of technology. “Oh, I need to make a course, I go over here.” “Oh, I need a Pinterest Scheduler, I go over here.” Whatever it is. So we end up with all of these different things that all you hope kind of talk to each other. So talk about then the organic growth of somebody’s business and how you could help them. Yeah. And you forgot the podcast. Yes, you forgot the podcast. You forgot like, “Hey, wait a second. Should I be doing a YouTube channel?” “Oh, gosh, there are no more ads. Should you know, should I launch a Patreon subscription?” So, I love this question so much because it’s our world. Oh wait, and one last thing. My audience, typically, is not super technical. They are much more creative. So I think I told you we created a little like a SaaS business called Milotree. And our intention — our users are bloggers and people like that don’t care about the technology, so we took on the technology. Because my husband’s my partner, he’s a technologist — I am not — but we made it really smart and really easy to use because we said, “Uh-oh, we’re not going to give you a lot of options. If there’s a good option, we’re going to make this choice for you so all you have to do is just install it,” and it works. And I feel like philosophically, we are speaking the same language. Okay, so go for it. Okay. So the first thing is, let’s just celebrate for a second that wherever you start, following your passion is awesome. It just is. The hardest step is… and I sort of think about it as the courage to focus. The hardest step is the first one, which is launching that first blog or launching that podcast or launching whatever it is the first thing that you decide to do that expresses your passion in a way that can bring people together. So, yay, like this is awesome. The interesting thing and the part for us that we passionately believe is that it’s actually great for all of these different platforms and terrible for the entrepreneur, the business owner, the food blogger in this example, to be trying to use all of these different services at one time. And there’s the obvious reason which is it’s a heck of a lot of work. You’re also paying SaaS fees for each and every one of these services. Or you’re giving cuts of things. A cut over here, a cut over here, a cut over here, a cut over here. But the big problem with having 10 different services, you know, because we haven’t even talked about like what if you want your people to start meeting up or you’re going to go on a live event podcast tour? You wrote a cookbook and now you’re going to go around and talk about it. Or when I’m ready to launch my course, I don’t have to go use a new service, it’s right there. It’s already in my mighty network, in this case. Again, I’m biased. But I don’t have to move my people anywhere, I don’t have to, rebuild in each and every one of these different places, and the most important thing. We talk about Mighty Networks as like the simplest way to build a business online today because your subscriptions are in one place so you don’t have to go use Patreon separately. Will you just explain what Patreon is because I’m not sure my audience knows. Sure. Patreon is a service that is actually really, really good. It started because YouTube channels, the sponsorship money for YouTube channels kind of went away. So people who had a large following on YouTube would go to patrons on Patreon who they would essentially ask. Almost like a Kickstarter where it was like $5 to join my exclusive Facebook group, $10 to get exclusive access to this kind of content first if I have a new post coming out, for example. Or you get to hear my podcast before other people hear it in a week. So, it essentially shifted the business model for YouTube creators from sponsorship to subscriptions. Right, right. And, in fact, there are certain podcasts that I give money to on Patreon because I love the content and they’ve decided not to do ads. So, I’m willing to pay $5 a month to get access. So we built that into a Mighty Network alongside with online courses or groups or events or questions and polls. So the idea is you don’t have to go to four more different services over time as you want to add various things to your business. It’s all an on-off switch directly in your Mighty Network. So at whatever point you decide to use a Mighty Network, you might just use it upfront to replace your website or instead of a Facebook group. But what’s awesome is that you never have to go somewhere else when you’re ready to grow your business in another way. Okay. So is like an email service provider? That is the only thing we don’t do, but we have notifications built in. So if you want to create, for example, an article and let everybody know that the article is up, that’s all built in. If you want to run a separate weekly newsletter, that’s something you go to MailChimp. But here’s an awesome thing. Actually different from every other service out there, we give you access to all of your data. Meaning that when you create a group on Facebook or even, you know, even on Slack, you don’t actually get anybody’s email address, location, the topics they’re following, anybody that they referred into that group. We give you all of that information. Plus a bunch of analytics that make it so you actually know what people are doing with your content or conversations or we think about it as engagement plans. So what that means in practice is that, one, you’re not beholden to a Mighty Network. We want to lock you in because it’s awesome, not because you have no alternative to leave. But more importantly, again, when everything’s in one place and you can turn on different features when you’re ready to expand, it means your people can actually meet each other. And if your people are actually meeting each other, your followers, your fans, your subscribers, when they’re meeting each other, it means that you actually are going to do less work. They’re not relying on you exclusively for all the posts. They’re not relying on you to build all the content. They’re not relying on you for any reason that they would pay attention to your comeback. So there’s a woman. I’ll give you a very specific example. There is a woman named Tara McMullin, formerly Tara Gentile. Tara has been a long-time creative, live small business guru. I learn from her every day. She woke up one day and was like, “I am exhausted. I don’t want to actually be the person who is front and center and have it be all on my shoulders,” which is the reality of life for whether it’s us as bloggers, or, I mean, I feel that when I’ve run a blog or when I have been the face of a company or whatever. So she launched a Mighty Network called CoCommercial, and CoCommercial she describes as a virtual co-working space for online small business owners. She charges a subscription fee for basically it’s a one-time annual price of 199 to be a member of CoCommercial. She’s got a great podcast as well, where it’s like, “Oh, my God, I don’t have time to answer all of these fantastic emails coming in from my followers or my subscribers, I wish they could talk to each other.” So that has a thriving Mighty Network in CoCommercial. And even the name is not about her, it’s about what people are doing together. They are co-creating their businesses together in the context of this network. So they can ask advice, that kind of thing, help each other, kind of raise each other up. Exactly. As we all know, anybody who’s listening to this podcast, is listening to this podcast, in part, because all of us have tough days. This is a tough path that we have chosen. Yes, it is. It’s like you’re Sisyphus pushing the rock up the hill and then it rolls back down. Absolutely. Choose a model where you’re consciously building a business that brings people together, that goes away, and you become much more closely aligned. You’re a host of a party which is very different. It’s like I always think about it as the difference between when you have to give a speech and dread it for two weeks and work really hard on the speech. Versus hosting a party is really, yeah, you have to set up the room. But for the most part, people are there to meet each other. And you get to engage as much as you want or as little as you want and it doesn’t change the fact that people are there interacting and engaging with each other and creating something special that you’ve still brought together these people. But you’ve done it in a way that is not exhausting. Okay, so let’s go back to the food blogger who starts with a food blog. Then she says, “Hmm…” I or he, I want to build this into a business into a business with multiple income streams. So they sign up for Mighty Networks. Would they move their blog, first of all, to Mighty Networks because you’re a blog platform? It depends, Okay, so here’s the beautiful thing. It’s a free country and you get to do it in whatever way that you want. The beautiful thing is, you know, we have tens of thousands of active thriving Mighty Networks and they’re all doing it a little bit differently. But here’s what I would recommend. If you want to move your blog, great, move your blog. What I think is better is to replace your website. 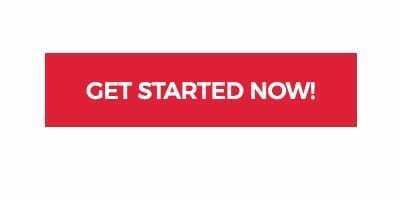 So if you have a website or something that’s static, we have sort of a very simple landing page that you can fully customize. So the idea is, replace one of the things that you’re doing. Bring together, replace your website. Definitely think about migrating a Facebook group, or if you’re using a Slack team, that’s really where where a Mighty Network shines. We have some really specific kind of 123’s for how to do it well because we’ve worked very closely with a number of very large Facebook groups who have moved over to a Mighty Network. I would say a lot of my audience either has their own Facebook group or participates in Facebook groups daily. Yes, how things have changed. So instead of feeling like you’re in sort of a crowded bar, the idea that you’re in sort of a room where people can talk to each other, it’s like the back private room. And, then there were other concerns about Facebook that I don’t, unfortunately, think are going away anytime soon. What do you mean by that? You mean in terms of privacy and data and stuff like that? Just the fact that you really have no predictability around what people are actually going to see. The outcomes are so challenging that where six or seven years ago, people would organically see all of your posts. Today, 1 to 3 percent. So the thing I can promise anyone who goes to a Mighty Network is, you know what, you have 100% guarantee people are going to see your stuff. And that’s pretty powerful. So basically, we have some nice little tools that make the transition from a Facebook group to a Mighty Network just a little bit easier. Then there are some great best practices that are awesome, that have been done over and over and over again. The momentum in terms of the number of people who are moving their Facebook groups has really accelerated in the last 90 days. What’s exciting from my perspective is that people are actually really excited about moving, and people love a Mighty Network. So what is happening is we’re seeing larger and larger YouTube channels and bloggers. I mean, one of our earliest adopters of Mighty Networks, actually, is a woman named Gretchen Rubin who I’m sure your audience knows from The Happiness Project, or her latest book called The Four Tendencies. She has a podcast called Happier that’s extremely popular. She chose two years ago, almost two and a half years ago now, to move her brand and build a new one on a Mighty Network called Better. The reason was that she wanted people who followed her, especially around The Four Tendencies, which is basically a way to think about how you react to expectations that are placed upon you. She actually launched it a year before she released the book and it went to the bestseller list in part because her most passionate fans were all at the same place. Because they had a deeper connection with the content and obviously with Gretchen but it was really about the content because of the relationships that they had with each other. The book went to number one, and she just successfully launched her second cohort of The Four Tendencies online course which has basically sold out in a week. But rather, she knew that hub of her activity and her brand needed to be about bringing people together because it’s highly scalable, meaning more and more people can use it without any more work from Gretchen. Everybody gets more value with every new person who joins. And she has full access to the data and the activities so she can see what people are doing, and get to know her followers and fans even better. So, as she’s planning out her next course or her next book, or we’re coming up on the 10-year anniversary of The Happiness Project that she can really think about how does she get that to what does she do for her most passionate fans and followers, but then how she harnessed their energy to get it out to more people. One thing I talk a lot about is that to build a business, you don’t have have to have the scale of Amazon. Remember, like, you need 1000 true fans. Yeah, that’s a great piece. That’s how you want to build this sense of community and this interaction where one plus one is five, and also where you can then get them on your side and get them to buy from you. Yeah, I could not agree with you more. The other thing is that even Amazon, even Facebook, they started narrowly. They started with a niche. And the reality is that while a niche sounds like it’s small, it just means that it’s narrow. And anyone who’s driving in their car, listening to this podcast is capable of building a compelling niche that brings people together by just simply framing these techniques that the best and brightest in Silicon Valley, all these moguls who unfortunately control a lot of our time and inputs — media and books. But fundamentally, any of us can do it as long as we’re not just plugging along, trying to do a little bit over here and a little bit over here and a little bit over here. The reality is that Gretchen Rubin, Tara McMullin, these amazing entrepreneurs and creators know who their customers are, they know who their followers are. And if all you are doing is building followings or building groups on other people’s platforms, you will never achieve the level of success that they have because you don’t know what your people are doing. It’s a little bit like putting a spike in the ground and saying, “Here’s where I live and you can find me here, and you can find my people here.” This is like the hub. Versus, “I’m a little bit over here and a little bit over here and a little bit over here,” and you have to reach out. You can reach me but, like, personally, I’m not as good at getting back to people who DM me on Instagram, but if you email me, I will definitely get it. But other people are like, “Oh no, I spent all my time DM-ing on Instagram,” for example. And also for every DM that you have on Instagram — because here’s the problem. Your fans can’t really meet each other that well in the comments section of Instagram. So now imagine instead of you having to answer each and every one of those DMs, your emails, that you can jump into a community that people are answering each other’s questions. They’re DM-ing with each other. And you get to come in. First of all, your brain just has more time to be creative. Then when you jump in, you can do what make the conversation just take off and participate in as deep or as light of a way that you want. That is the magic and also the sustainability of our businesses. Right. And we talk about this all the time. So a lot of us have been in this business for a long time and we have seen algorithm changes and just you are beholden, you’re a sharecropper if you’re building your business on Facebook or Instagram or wherever. I mean, you do have to be flexible but you don’t have to be at the whim of all of these services. Make your own — make your own business. Okay, a couple things. One, let’s say I want to join one of these communities. Can I go to Mighty Networks and search for Gretchen Rubin’s community? Is there some sort of directory? Like with Facebook, I can search for groups. So you think of yourself as, say, a Shopify store or a Squarespace, meaning people are discovering your network on Mighty Networks. They are learning about it and then using the platform like you might with a Shopify. Yeah, and part of that is it is very consciously, because we want you to be able to create the Mighty network that you want. When you start to do a lot of discovery as a service that like what you get is some spam and potentially bad actors or other bad things that can necessarily happen. We’ll get there as we find ways to do it in ways that are positive, optimistic and awesome. What we are focused on right now is how do we allow a creator, that food blogger in our example to have everything at their fingertips that they may want to experiment with next on that online course, on that podcast. Is the backbone of a Mighty Network then like a feed? What does it look like? Yeah. So we do have an activity feed that is personalized for every member, meaning that they can opt in or out of topics. If they’re using a course, that course update will show up in their feed. People they follow will show up in their feed. But the difference is that the host, as we call the people who are it’s the equivalent of our group admins, a host or a creator at any point in time can make sure that everyone sees something that they have added. So there are some override features and also some just really nice discovery features we’ve added as well that that allow for that feed to be augmented with topics, with groups, with events, with courses and other features. I wanted to take a minute to talk about MiloTree which is the company that I have built with my husband, David. MiloTree is a group of pop-ups that you install on your site and they help grow your social media followers. So you can have an Instagram pop-up that will say “follow me on Instagram” or a Pinterest pop-up that will say “follow me on Pinterest,” or Facebook, or a YouTube pop-up that says “subscribe to my channel,” or even an email pop-up that says “join my list”. You get all of these pop ups in one MiloTree account. If you head over to MiloTree.com and sign up right now, you’ll get your first 30 days free, so you can try it out. And again, it takes your traffic and converts your traffic into followers. To be honest, what better followers could you get than people who’ve already been on your site who’ve already liked your content. In today’s world, you want engaged followers, MiloTree grows engaged followers. These are people that will interact with your social media channels and will read your email list. So if you’re trying to grow your business, it’s worth checking it out. So head on over and I invite you to head over to MiloTree.com and sign up today. Now, back to the show. Lots of people write books. So I like that example that you used from Gretchen Rubin. I write a book and I’m going to maybe self-publish it because it’s the internet today and I can do that. But I need to get people to discover my book. So instead of, again, creating a Facebook group and trying to be active on Instagram, or Pinterest, or Facebook or whatever, I would go to Mighty Networks and I would start a network. And then I would be directing people to my network. Yeah. Think about it as a hub. So you’re still going to have these folks on Instagram or on an email list or on Facebook or on Twitter or on Pinterest, but you’re sending people to one place — and that one place allows them to meet each other. It allows you to launch new things. Right, let’s say it’s a cookbook. It’s a cookbook. That is a perfect online course. That is a perfect series of events. That is a perfect way to do live Zoom or Crowdcast. The way to think about it is that you can sell more books by having this type of Mighty Network and you can extend the life of the book in all of these other ways. And Gretchen Rubin, if you go to Betterapp.us, it’s fantastic. It’s public, you can you can see everything kind of in one place. It is a wonderful example for those who have instructional books, or a cookbook or a finance book or anything in between. And you can find more ways to not just promote your book to your most passionate fans and followers but also extend the life of it in all of these other ways. Got it. Wow. Again, I feel like it’s funny because you’re right, two years ago, it’d be like you’re crazy not to have a Facebook group. And today, it’s a little bit like that you want to kind of be able to step away from these large platforms and really build something. I think it’s like the power of Shopify, for example, which is you might have started with an Etsy shop. But then you don’t own your Etsy shop where all of a sudden with a Shopify store, I can own my e-commerce site and I can do all of this cool stuff, but it’s mine. Right. And by the way, we have a great, great way to integrate Shopify stuff. So, I just digress. Oh, no, no, please because I want to know all the things that can integrate. So if, in fact, I have multiple cookbooks and I put them in my Shopify store with all of my cooking tools, I can then integrate that into Mighty Networks. You can add a link in just the upfront navigation. There’s a couple of different navigation spots where we let you put custom links. Then we also have this really cool feature which is we call it the “Welcome” and “Featured” sections, meaning that you can actually do like a full article promotion and then basically put it in a place where everybody sees it. It’s like first when they come in and then when they come back. So you get to have those spots where you can promote additional products and services. And if I post in my Mighty Network, can I make it so that everybody gets some sort of notification? Yes. So we have something called “Notify All” that is only available to the host or creators of the Mighty Network and that then notifies everybody that you just posted something. And it’s totally opt in. It doesn’t happen automatically. But it’s a really nice way of having 100% confidence that everybody is seeing something that you just posted. Is it the groups that are the most active that you think are the most successful? How active then? Because if you are the host of your own party, you do need to be walking around and making sure everybody’s happy and making sure everybody has a drink, let’s say. What are some best practices for hosts? So here’s the good news. I was thinking about it this morning, actually, because I was writing something up. We run our own Mighty Networks. While it may just seem like it’s good business to make it really easy to manage a Mighty Network and do quick things that actually pack a punch, we do it for very selfish reasons, namely, that we run our own Mighty Networks. We’re sitting there and were like “ugh” and without doing this thing and it’s a total pain. So some of the ways that we let you automate the drink, making sure everybody has a drink, obviously, we have the normal ways of moderators and other people that you can deputize to be making sure everybody’s having a good time. Again, another basic thing is scheduled posts or scheduled features. So you can basically line up a bunch of stuff for the week and let it go and know that it’s going to get out without you having to do anything. But there are some very specific features that we have put in place because of our own expertise and experiments that we run that are awesome for getting the conversation started in a very low effort way on the part of hosts. One, we, we have something called an icebreaker question. An icebreaker question basically drives up the number of people who start contributing in their first session. So they join and they’re asked a very simple question that a host can set up. We love the question, what do you want to get from a community of peers? Or what do you want to get from people who love the food blogger? And the answers people will contribute in their first session are so rad. The second feature that we have that makes it really easy to manage a Mighty network, which is we call it “Welcome All”. So we were manually welcoming every single person that was coming into a Mighty network that we were running a few years ago. At the end of a Saturday where I had probably welcomed 300 people and I was like, “Oh my god, there’s 1000 people that joined in the last 48 hours,” we built a little feature that lets that process get automated, namely, I go in and for all the members who have joined since the last time I click this button, they get a welcome email from me. A personalized one from Gina saying, “Hey, welcome to this particular mighty network.” And then there’s a button that says, you know, say thanks or say hello, and then I can start conversations with people. But everybody gets that warm welcome from me and it’s one click. Another feature that we put in place are polls. Polls are one of our favorite features because a quick hot cold poll which is basically a pole that says are you positive or negative on X, Y or Z, or for or against X, Y, or Z. We also have a poll that’s what we we call a percentage poll, meaning what percentage of your time are you spending listening to this podcast, or what percentage of your time do you spend cooking each week. Then you can compare your time or resources or whatever to the rest of the membership. So there’s just some really fun ways to use polls that for the host, it takes like five minutes to post the question and it takes on a life of its own. So those are just that. Another thing that our hosts do, you know, when they’re… Tara McMullin, again, is deep in building a book and doing some amazing half marathons and things like that. So what she does is just sets up a weekly live Zoom call or Crowdcast chat — I think she uses Crowdcast — where she can just take questions and people can meet each other. It’s once a week and it’s live. So it feels like it’s almost like just this coming together of everybody at the same time and then it reactivates and reengages people in CoCommercial, her Mighty Network. So what’s fun about this is that there’s all sorts of different ways to keep it interesting, to keep it fresh, and to really set it up so that it’s no more than a few minutes every day or an hour to set up kind of the week ahead. Then when you have online courses, for example, that’s certainly more of an investment that your listeners are probably already doing or thinking about doing because people will pay for courses today. But you set that up and people are meeting each other in the context of a course, and you don’t have to do a lot. So we continually find ways to make Mighty Networks in the technical term ‘self-organizing’. But what it really means is that you as a host get to set it up, you can decorate it. Some of the best parties any of us have been to have had a big bag of Costco chips and some root beer. But it’s fundamentally about the people that you bring together. And again, it doesn’t mean that you can’t decorate your Mighty Network to the nines and really make it your own, but it also means that if you bring people together and have some really compelling questions, that can make something wildly successful. What’s interesting, I’m just thinking about it for myself, which is, so I’ve talked about this on the podcast. I have very siloed businesses. So for example, when we first met, my husband and I started a company called Catch My Party. It still exists, it’s still growing, and it’s completely separate from MiloTree, which is our SaaS app (software as a service app). Then, out of that, I grew the Blogger Genius Podcast. And I had this SEO expert on and we were talking about this and this has come up a variety of times, which is that if we take Catch My Party out of the equation, the Blogger Genius and MiloTree, they’re different but they’re kind of related and I have a very difficult time integrating them in a more cohesive whole. And you’re getting my, you know, like the wheels are spinning, and I have a Facebook group called the MiloTree Mastermind Group. And again, you and I have real business backgrounds and my goal with the Blogger Genius is to interview people like you, people who have been successful, people who have ideas to share, but also because I want to help and I want to share what I’ve learned being in the trenches. And I want to share that with my audience. I want to say exactly what you were saying which is some days, it’s really hard. Some days, I don’t want to get out of bed, and other days, I am so excited to get out of bed. Anyway, so for me in my businesses, I’m thinking “Wow, I am all over the place.” I am on Facebook and I am on Pinterest and I am on Instagram — and it makes my brain explode. So we’re gonna have to have a conversation after this. You know, I don’t know that it’s our tagline at Mighty Networks but there’s probably something along the lines of Mighty Networks to help you make your brain not explode. I’m going to get on that. Well, Gina, okay, so if as a female entrepreneur who has been at this and again, we have meant to but just there is something really special I think about having somebody like you on the show who has rolled up your sleeves and really just you’ve dived in there, dive, whatever it is really like talking the talk, what piece of advice would you have for other entrepreneurs? It’s interesting, I really try to stay away from advice because I think it shuts conversations down as opposed to stories and experiences and ideas that kind of continue the conversation. But here’s what I would say. I would share that no one who it looks like they have it all together, that looks like they’re wildly successful, that looks like that they’re perfect, none of them are. Each and every one of us gets up every morning and has a little bit of terror, a little bit of fear of what if this doesn’t work or what if this goes away, Or if I’m walking into some kind of bad news situation today. And what I’ve learned is, the more that I view what I do as a series of experiments and the opportunity to learn, the happier I am. I like that. I like that. I really like that. Oh, well. Okay, Gina, how can people reach out to you? How can they learn more about Mighty Networks? Yes. So first, my email address is what you think it would be. Just Gina@mightynetworks.com. Our website is Mightynetworks. com. It is free to create a Mighty Network. We have also tons of resources, and they’re only going to get more and more, fun and deep in the new year related to not just how to get the most from a Mighty Network, but really like how to grow your brand and how to grow your business as you start to really take your niche, take that food blog, take that unique category that you are building and expand it into a podcast, into a series of events, into a VIP subscription, into an online course. You don’t have to do any of these things all at one time or juggle things that are more than what you want to juggle. But there is something really powerful of just experimenting and just trying things. I tend to post on LinkedIn occasionally. It’s probably where I do the most when I write something. One of my goals for 2019 is to get a little bit more comfortable with putting a video on my face and talking, I’m not there yet. Like, I look at myself and I’m like, “Oh, I should really, really start to actually want to wear makeup,” which I don’t. Awesome, awesome. Well, Gina, thank you so much for being on the show. You have given me so much to think about, especially as I try to wrap my arms around my own business, and I’m sure for all of you. I like what you said, which is to experiment. You know, it’s funny, we met at that session. You led on product market fit, and what I have learned over the years is you will never know if you have product market fit unless you are experimenting like crazy. That’s the only way to find it. And that is something I relearned every few years. And so this notion that anybody knows… that anybody is doing it really well, it’s just they’re better at busting through the fear. Yes, I love it. I love it. Well, thank you so much for being on the show. It’s my pleasure. Have a great rest of your day. I hope you liked my interview with Gina and I invite you to head to milotree.com and start growing your business faster. Watch your followers on Instagram or Pinterest or Facebook or YouTube or your email list grow faster!